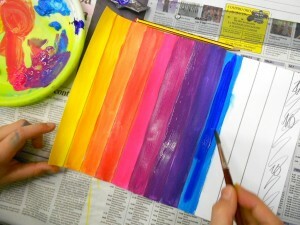 This exercise is carrying on the project about the color theory. 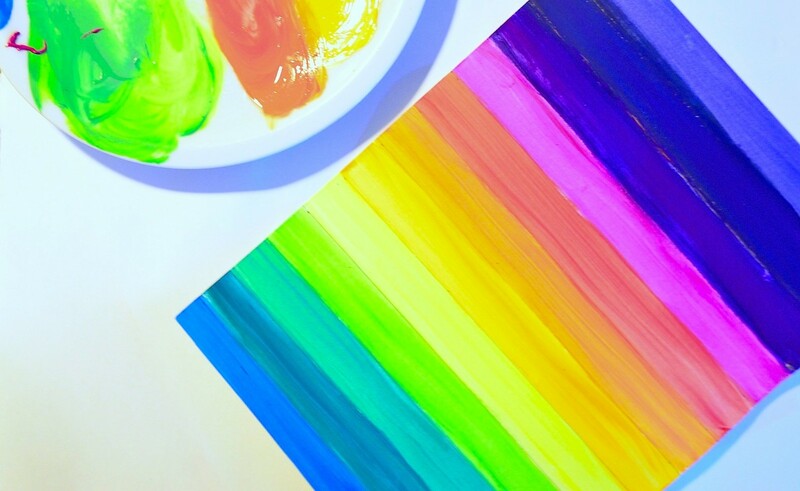 The painting is based on the color’s wheel and the complementary colors. 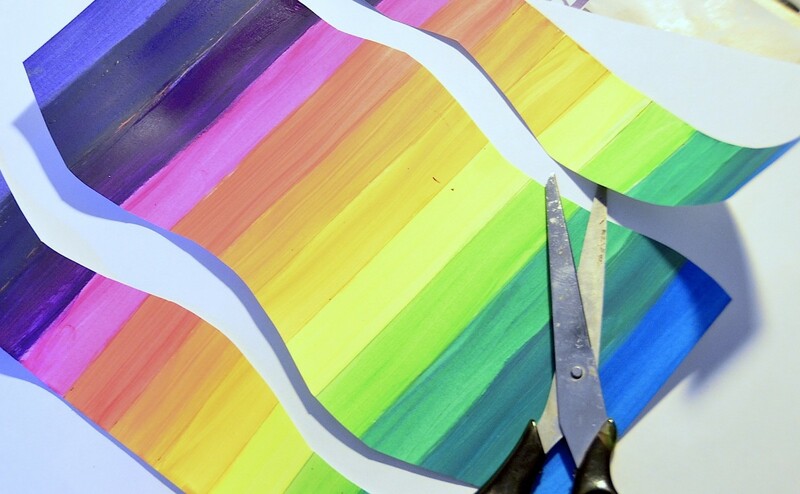 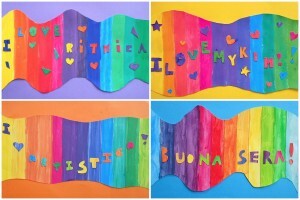 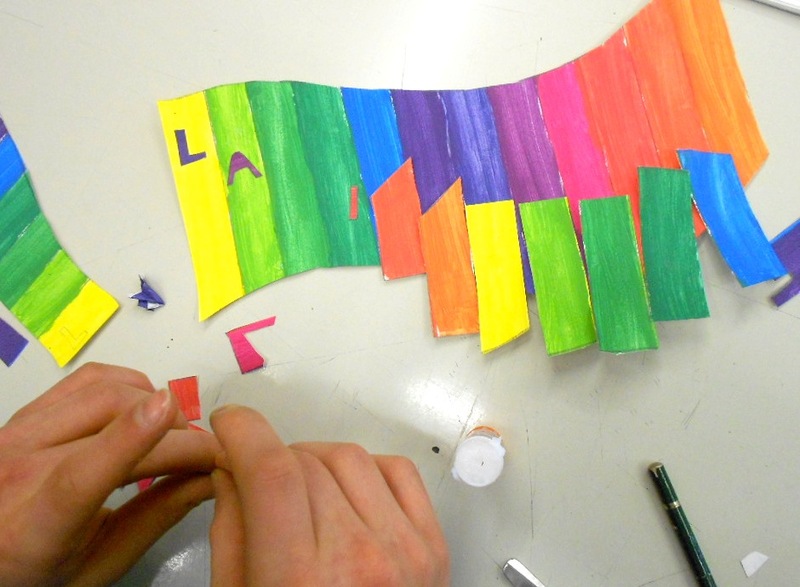 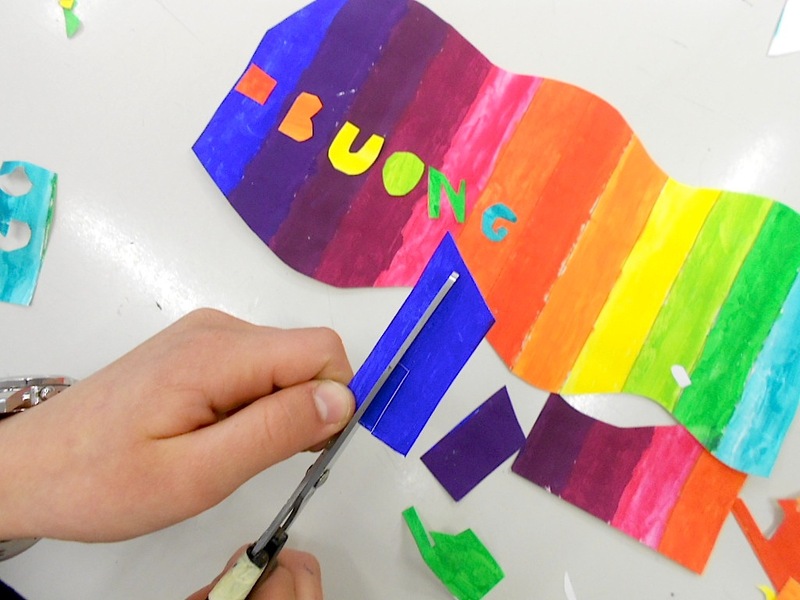 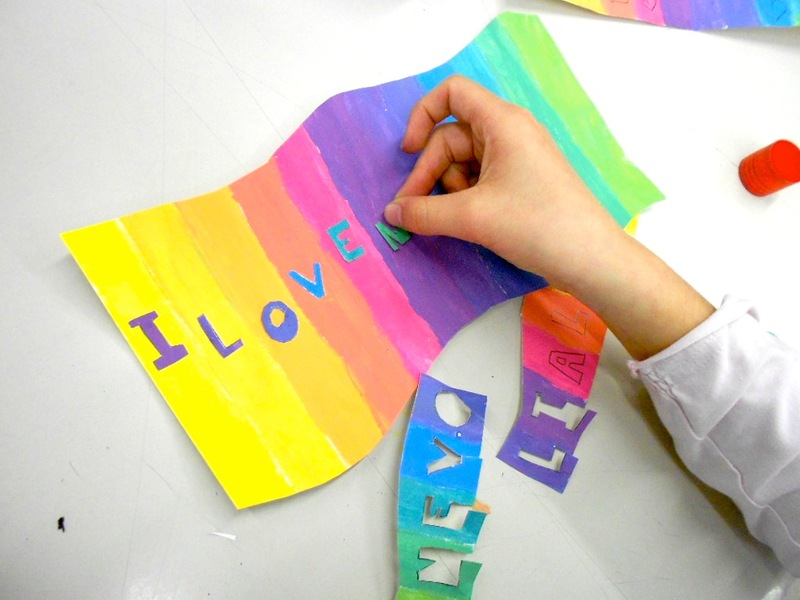 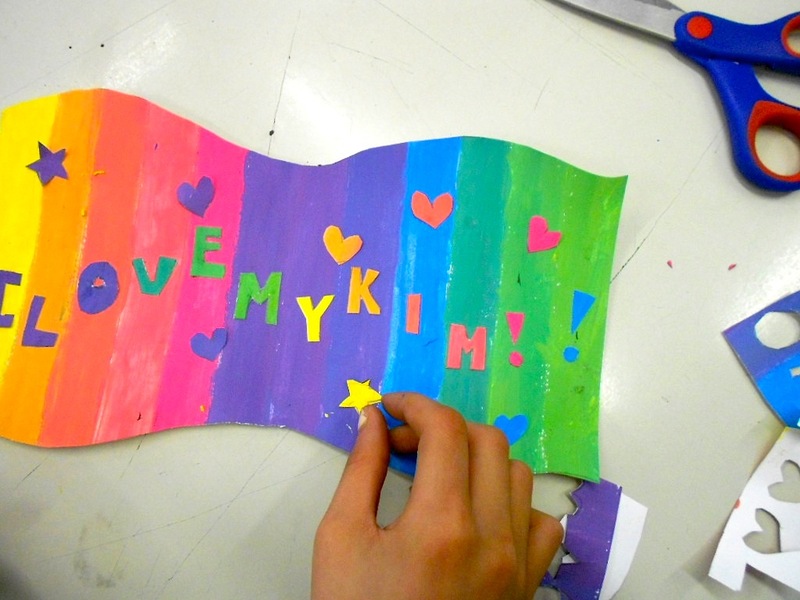 With students of grade 6-7 we painted these rainbow flags: the stripes have been painted with the twelve colors of the color wheel in sequence as a rainbow, and the writtens have been cut out from the same stripes, but glued on the complementary color correspondent. 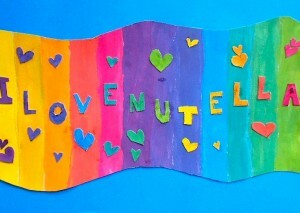 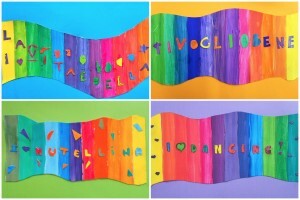 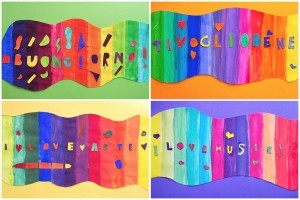 Every student chose his own letters and decoration, to create a very vivid flag.